More than 1,000 customers around the world, including 15 of the Fortune 50, rely on AlgoSec. 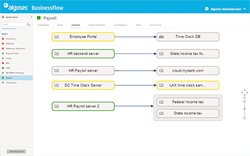 The AlgoSec Security Management solution comprises Algosec BusinessFlow, AlgoSec FireFlow and AlgoSec Firewall Analyzer. 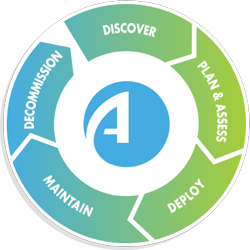 The AlgoSec Security Management solution simplifies, automates and orchestrates security policy management to enable you to manage security at the speed of business. Automatically discover, map, securely provision and change network connectivity for business applications. Clean up firewall rules and reduce risk – without impacting business requirements. Automate the security policy change process – from planning through risk analysis, implementation and validation. 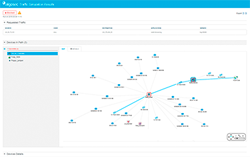 Manage on-premise firewalls and cloud security groups in a single pane of glass. Automatically generate audit-ready reports and reduce audit preparation efforts and costs by up to 80%. Proactively assess every security policy change to minimize risk, avoid outages and ensure compliance. ManageFirewalls.com is a division of Virtual Graffiti Inc, an authorized AlgoSec Partner.